in ways that counter traditional understandings of both journalistic practice and thepublic's response to news, such images drive the public encounter with important events through impulses of implication, conditionality, hypothesis and contingency, rather than through evidentiary force. These images call on us to rethink both journalism and its public response, and in so doing they suggest both an alternative voice in the news--a subjunctive voice of the visual that pushes the 'as if' of news over its 'as is' dimensions--and an alternative mode of public engagement withjournalism--an engagement fueled not by reason and understanding but by imagination and emotion. 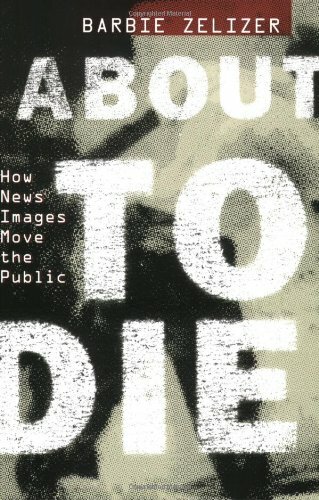 Tracking events as wide-ranging as the 1906 San Francisco Earthquake, Holocaust, Vietnam War, famine, Intifada, 2004 tsunami, and 9/11 and the 'war on terror,' this book suggests that a different kind of news relay, producing a different kind of public response, has settled into our information environment. It is in a development that has profound and under-explored implications for society's collective memory, the full breadth of which are tackled here.